1. Mix salt, soy sauce, dry sherry, cornflour, 3/4 tblsp oil and sesame oil in a bowl. 2. Marinate the fish pieces in this for 10 minutes. 3. Place 1 or 2 pieces of fish on each paper. 4. Keep 1 or 2 slices of ginger on one side and spring onions on the other. 6. Heat oil in a heavy bottomed pan over medium flame. 7. Deep fry and unwrap the fish in hot oil and place them on kitchen paper to drain. 8. 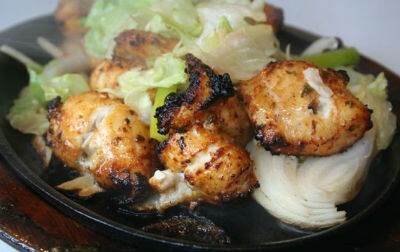 Transfer to a warm plate and serve hot with chilly sauce. Note: image is for illustration purposes only and may not be that of the actual recipe. 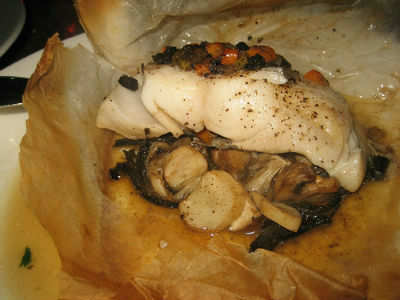 Feel free to comment or share your thoughts on this Paper Wrapped Fish Recipe from Awesome Cuisine.